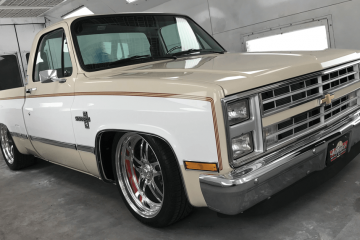 Classic Performance Products’ (CPP) complete front and rear coil-over conversion kits for 1963-87 Chevy trucks are fully ride height adjustable from standard height to a 3-inch drop. This allows a full 5 ½ -inch drop when combined with CPP modular drop spindles. The rear coil-over kit offers a full 5 inches of ride height adjustment (stock to 5-inch drop) and is specifically designed to work with CPP’s rear C-notch kits. Koul Tools is proud to introduce the latest addition to its line of hardline sealing tools, the Fitting Fixer. The Fitting Fixer uses an inverted cone with diamond-dust-coated lapping material to repair the conical sealing surface on 37-degree fittings. 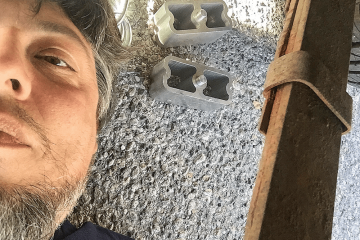 But what if the fitting is a weld-in bung? What a headache. In the past, you’d have to replace the fitting and maybe even the tank; now with the Fitting Fixer you can repair it. 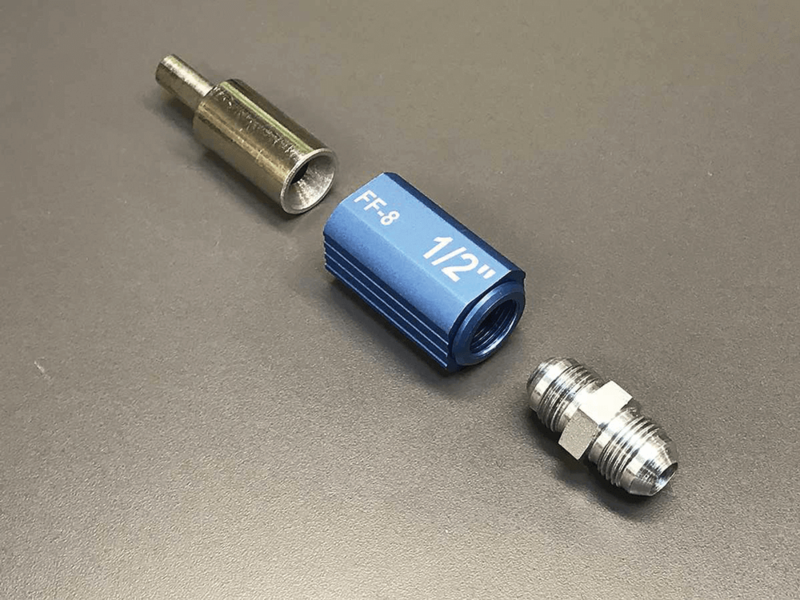 The ability to fix a leaky fitting on the spot is invaluable, making the Fitting Fixer a great asset for any professional or hobbyist who works with hardline connections. The tool repairs 3/16 to 1-inch fittings. 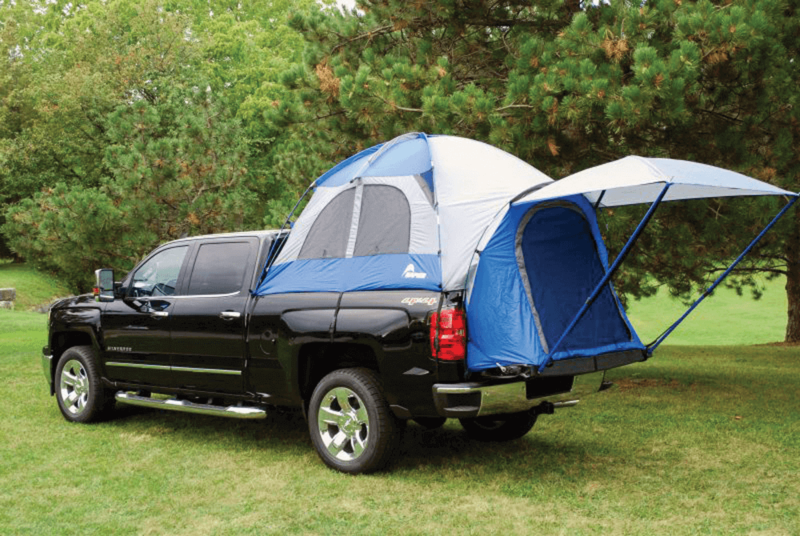 Napier Sportz offers a variety of exclusive features with its truck tent that set it apart from traditional camping shelters. A fully enclosed tent floor eliminates the need to clean the dirty truck bed, and an access panel to the truck’s interior provides storage. 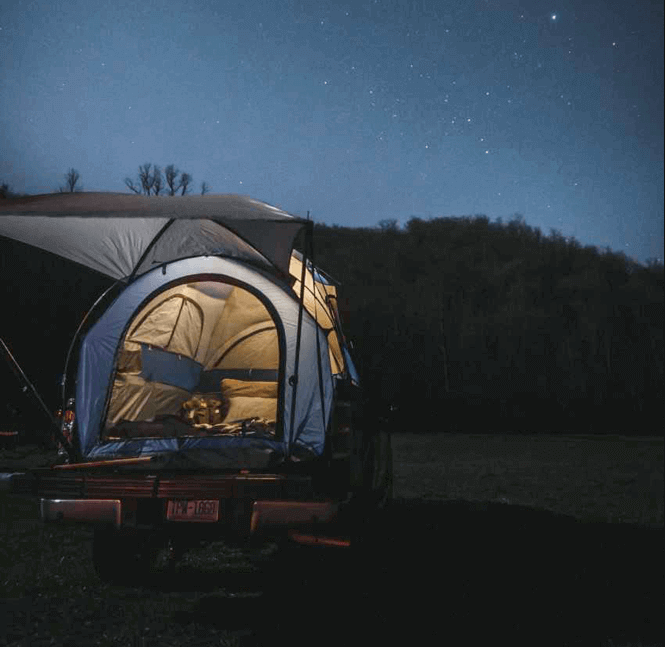 Napier Sportz’s truck tents inspire passion for camping and the outdoors by providing quality products to create a unique experience. 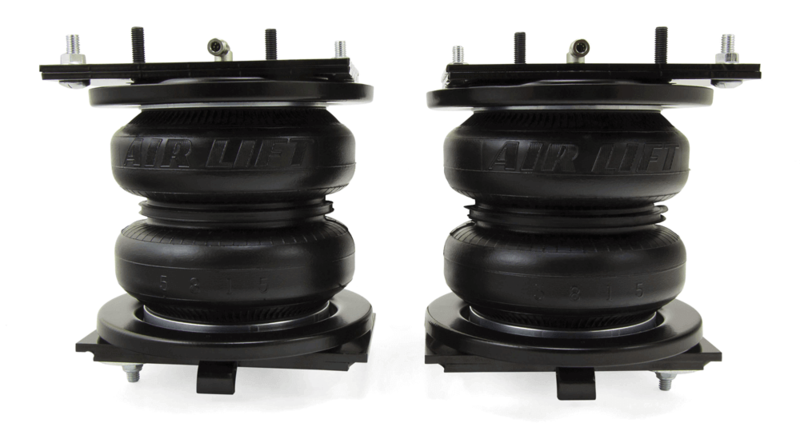 Air Lift’s new LoadLifter 7500XL air springs, available for 2014-18 two-wheel drive and four-wheel drive RAM 2500 pickups, are massive 7-inch, double-convoluted air springs. The new springs help eliminate problems frequently faced when towing and hauling, including squat, trailer sway, body roll and bottoming out. The new springs feature Air Lift’s exclusive upper and lower roll plates engineered to protect the air springs from sharp edges while increasing load capacity by 10%. 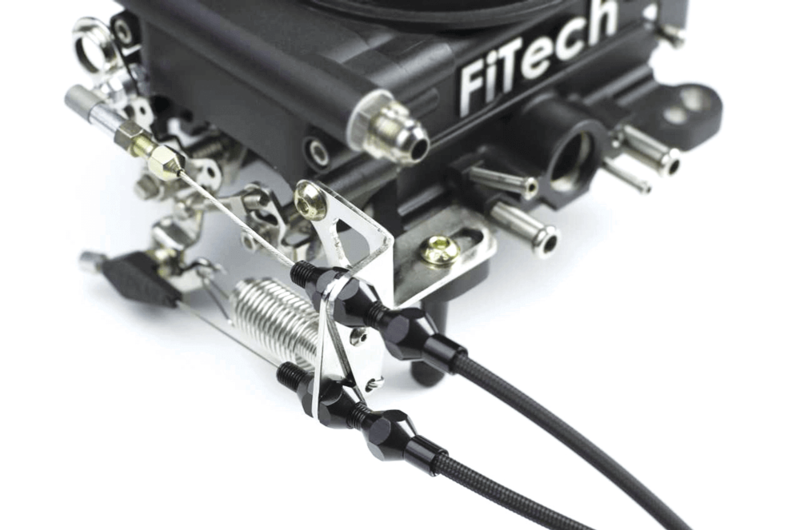 Lokar introduces its new throttle and kickdown cable mounting bracket for FiTech EFI applications. This new stainless-steel bracket allows for a clean and simple integration between Lokar’s throttle and kickdown cables and FiTech’s EFI systems. The brackets are available in polished or black finishes and come with all mounting hardware and return springs. Each bracket is manufactured in the USA and comes with a lifetime warranty. JEGS 10- and 12-bolt GM rear disc conversion kits combine some of the best features available to make your selection and installation easy. Kits include brackets, flanges and large GM calipers with pads for small GM (four-bolt) housing ends. 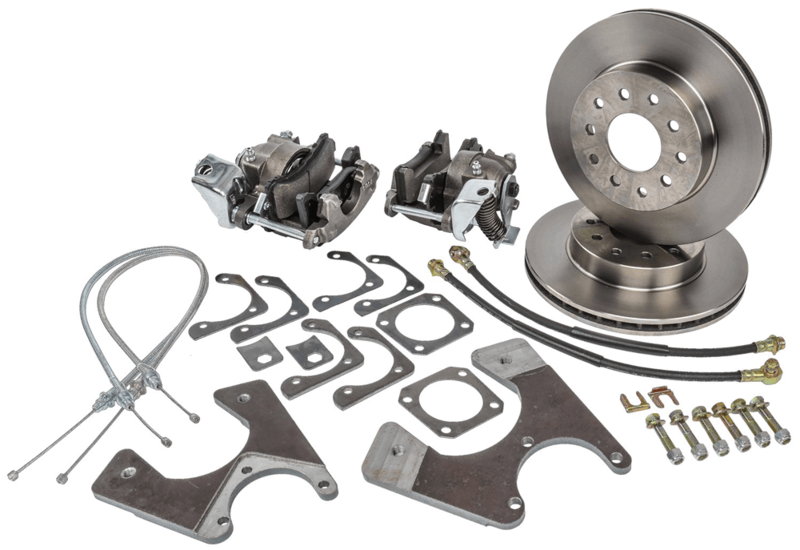 The kit also includes brake cables, brake hoses, rotors and mounting hardware. The included rotors are 11.14 inches with 2.786-inch hub I.D. and holes for 5×4.5-inch BP utilizing ½-inch studs, and 5×4.75-inch BP utilizing 7/16-inch studs. 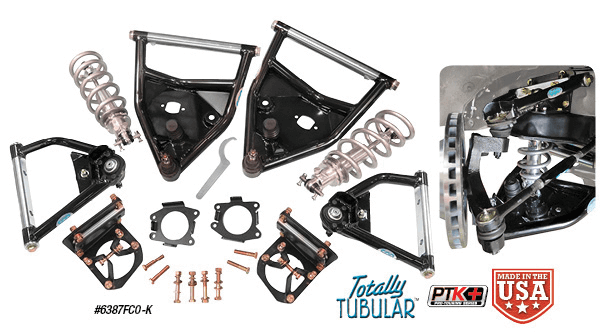 The kits are available for standard (coil springs with both shocks behind the rear axle) or staggered (leaf springs with one shock forward and one shock behind the rear axle) setups. Premium kits include cross-drilled and slotted rotors, braided stainless-steel hoses, plus you have a choice of raw, red or black powder-coated calipers. 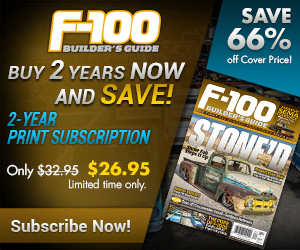 Have a rusty firewall in your restoration or project build? Don’t spend hours or crazy amounts of money repairing your factory panels. Check out Canadian company LS Fab instead. It’s currently producing bead-rolled panels for 1947-54 GM trucks, and the company is expanding its product line as we speak. 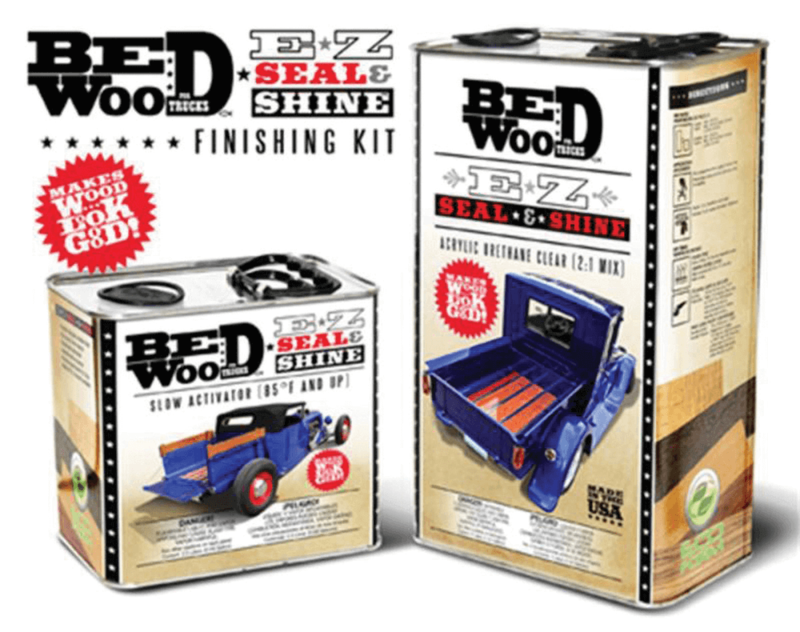 Bed Wood and Parts finishing and maintenance detailers seal, shine and protect your show-stopping wood bed floor. Its EZ Seal & Shine finishing kits protect your investment with a high-gloss finish that shields against harmful UV rays. The EZ Wet Gloss spray detailer keeps your domestic and exotic wood floor smudge and fingerprint-free for a show-quality shine. A direct-fit replacement for stock plastic door cups, All American Billet’s versions are machined from 6061-T6 aluminum and come in machine finish or polished. The parts are made in the U.S.A. and sold in pairs. 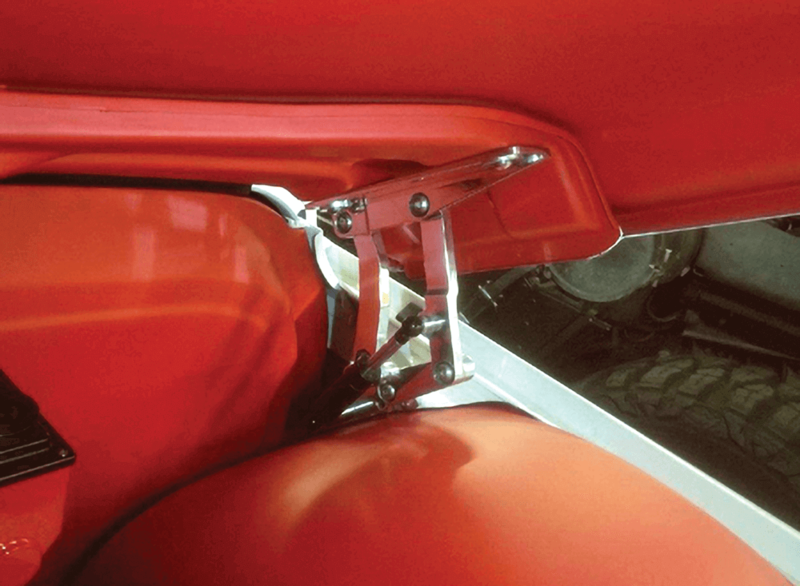 Add the finishing touches to your 1947-59 GM truck floor. 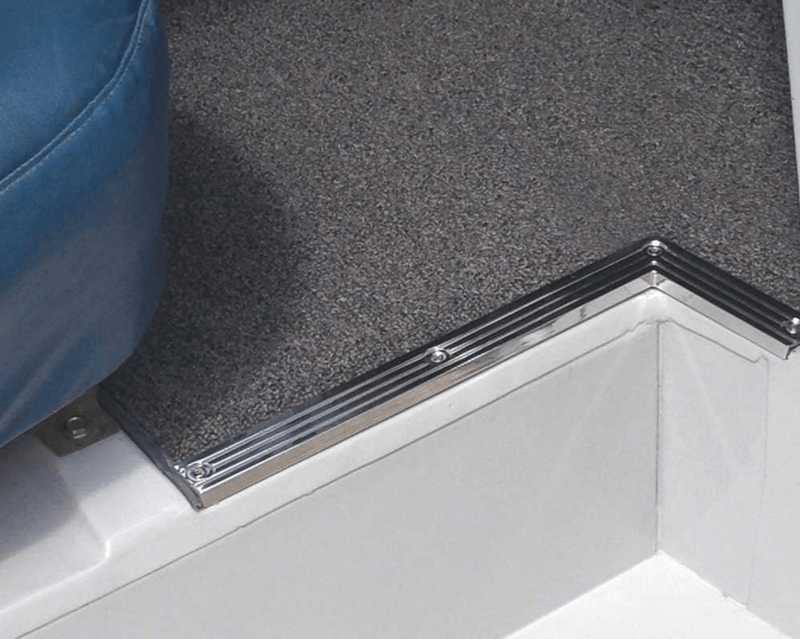 These carpet sill plates are made to fit around the step opening of the cab or to hold down the outer edges of the carpet between the seat mounts on the cab floor. This stylish and functional trim holds down the carpet in your cab much like the later models. It’s made of billet-machined aluminum, polished bright and includes stainless-steel hardware for attachment to the cab floor. Made in the USA. 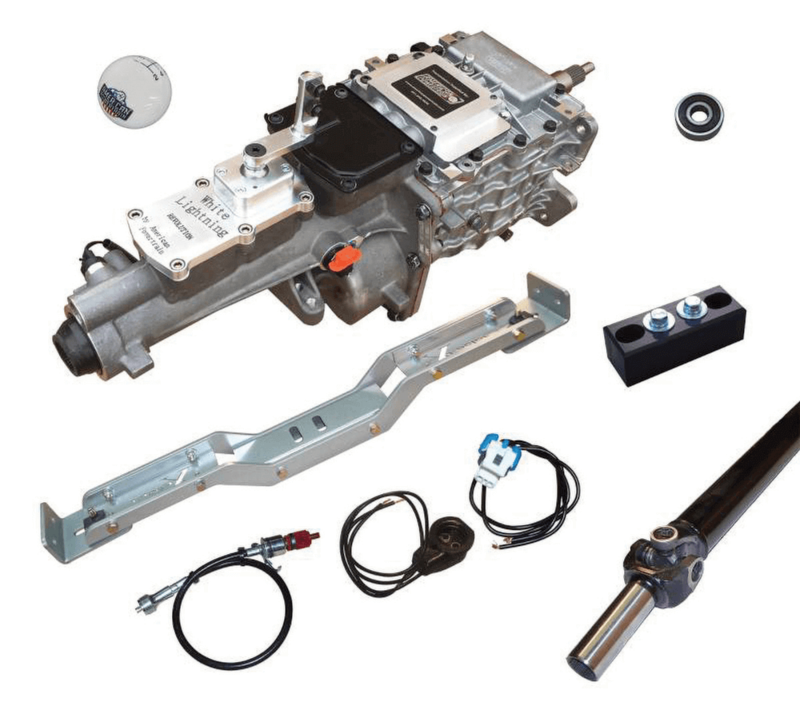 American Powertrain’s kit features the rock solid TREMEC TKO five-speed with one of its Revolution shifters that allows adjustment for bench or bucket seat shift positions. The kit also comes with an X-Factor lightweight aluminum cross member, poly-mount, speedometer solution, DOM steel driveshaft assembly, reverse light wiring, engine-specific pilot bearing and a five-speed shift knob. 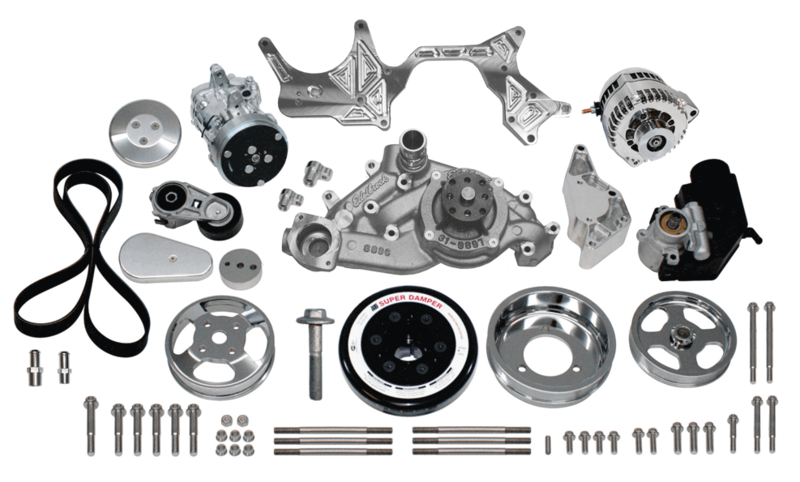 As with all of American Powertrain’s ProFit transmission installation systems, each component has been developed specifically for classic C-10 pickups and is covered by a comprehensive warranty and Customer First tech support. Get rid of blind spots in 2014-18 RAM ProMaster utility vehicles by installing lane change assistance cameras. With the factory-matching side mirror caps you can seamlessly integrate cameras to the side mirrors, improving the driver’s situational awareness, enabling a safer and more informed driving experience. 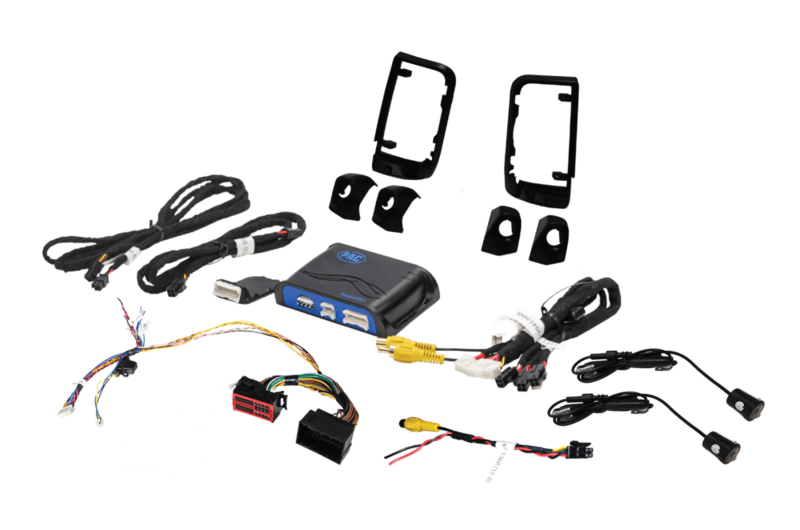 This kit includes everything you need to install lane change assistance cameras into the OEM 5.8-inch radio screen. With vehicle-specific plug-n-play harnesses and a quality engineered integration module, installations are simplified. 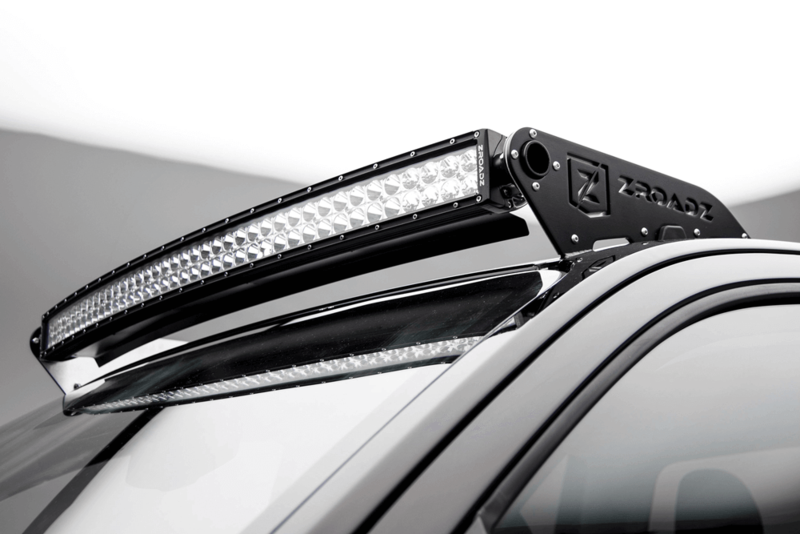 LED roof mount kits from ZROADZ are here. 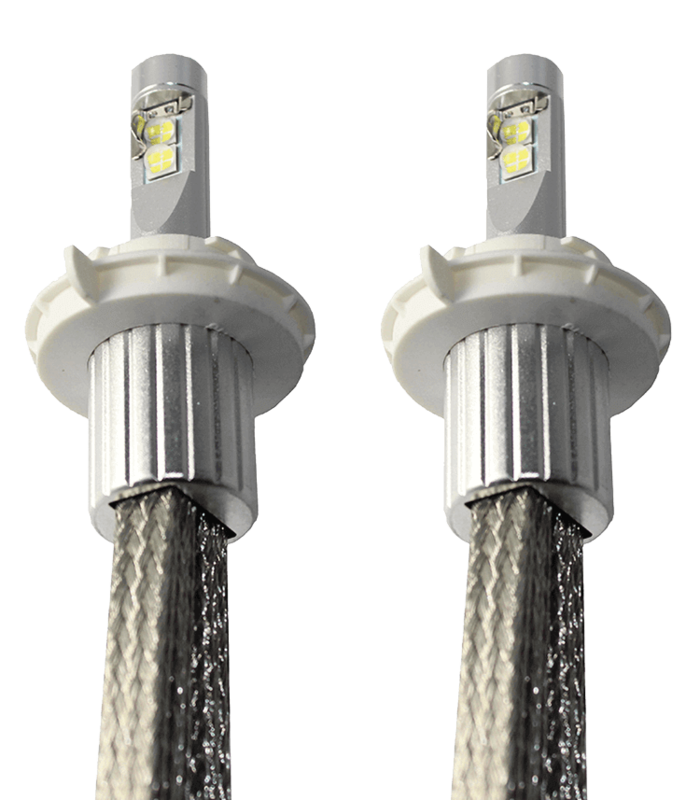 No more multiple nut-serts or sheet metal screws, designed with an extended mounting pad to reduce roof vibration, ZROADZ LED roof mount kits feature a patent-pending through-bolt mounting design that allows your LED wiring to pass through into the cab without drilling multiple holes in the roof or destroying weather stripping. 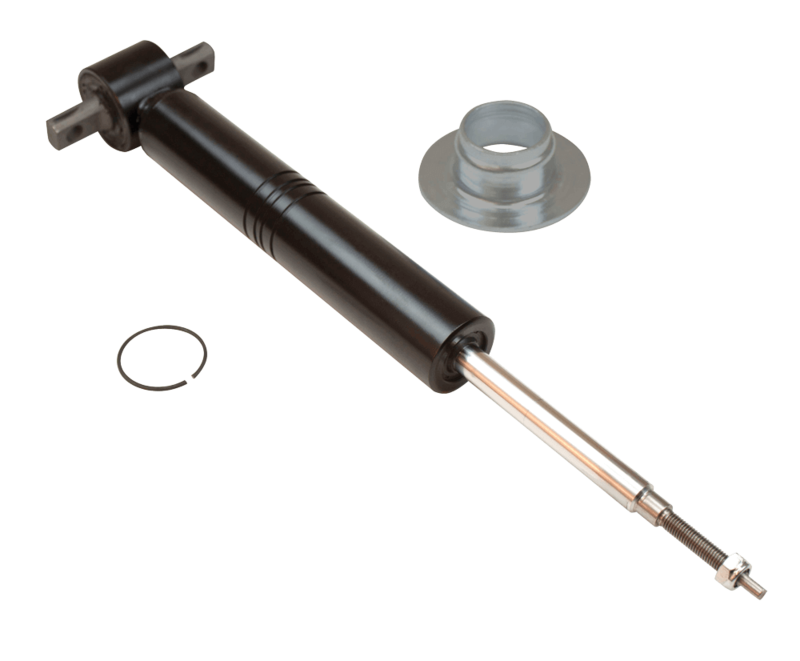 A reengineered roof seal and rubber-wiring boot are included to reduce the chance of leakage, and the kits are available for most popular trucks 2007-up. 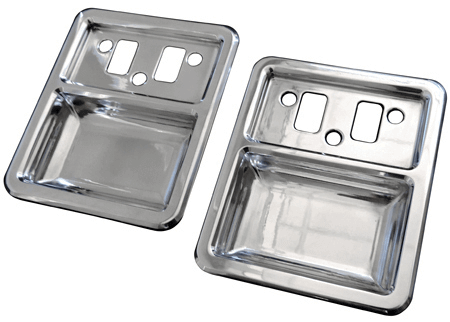 Billet interior door cups from American Billet were designed for the 1968-77 Bronco. This is a direct-fit replacement for stock plastic door cups. They are machined from 6061-T6 aluminum and come in machine finish or polished. The cups are made in the U.S.A. and sold in pairs. 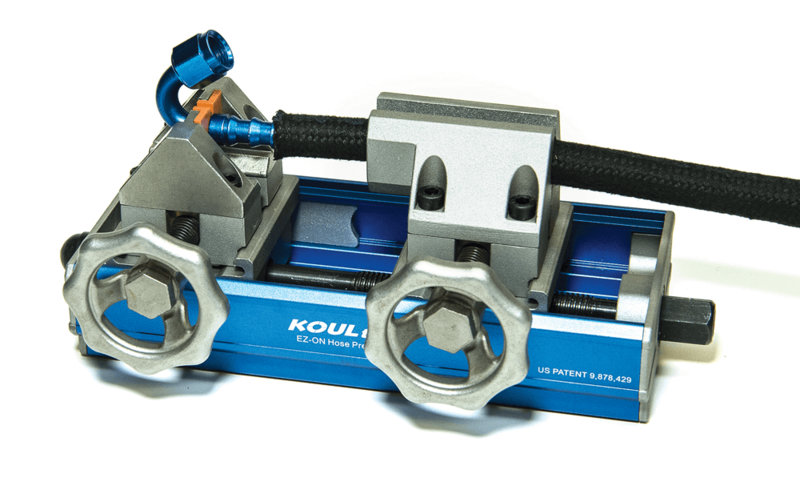 Koul Tools has released a new and improved EZ-ON hose press, the 409B. Lighter and more efficient, this new model features thrust and ball bearings for smoother operation, a new drive screw and larger nut for improved performance, and a traveling carriage with sealed bearings that rolls on a track for better stability. The EZ-ON hose press 409B installs both straight and angled fittings from ¼- to 1-inch sizes in mere seconds. It utilizes a stationary vise to secure the fitting and a travelling carriage to clamp the hose. The hose is then easily installed by turning the drive screw with a ratchet or impact gun. Underground Lighting has introduced a new H13 plug-n-play LED headlight kit. 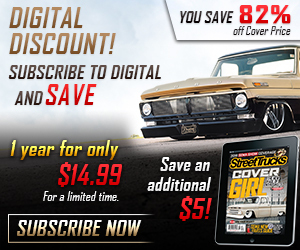 The simple modification not only will make your truck stand out from the crowd, it will increase visibility by 300%. Simply replacing the halogen light bulbs inside the headlights with Underground Lighting’s plug-n-play LED kit provides cool, pure white illumination. Not only is Underground Lighting more cost effective than others, but it’s brighter too. The lights are also covered by a one-year warranty. The kit offers 4,800 lumens and 1,525-lux rating per bulb. The kit will do both filaments’ low and high beam. 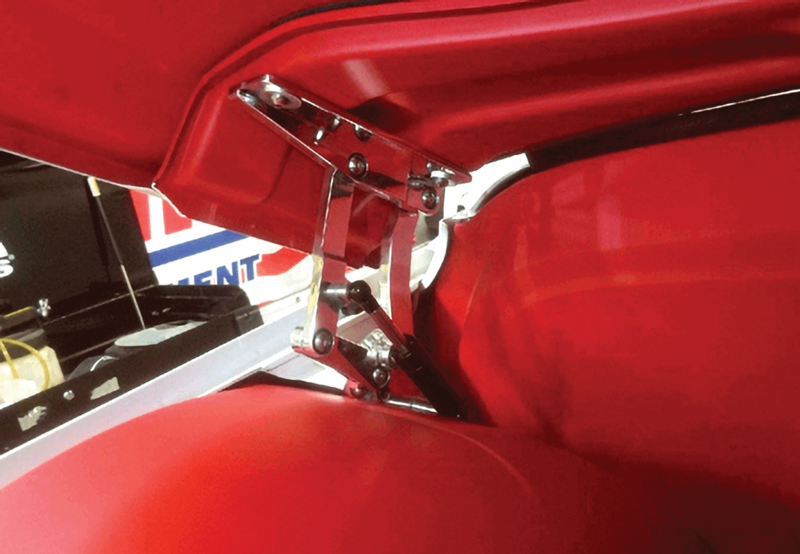 These billet aluminum hood hinges fit 1967-72 GM trucks and mount on the fenders using an existing hole on the fender for easy installation and stock hood mount locations. 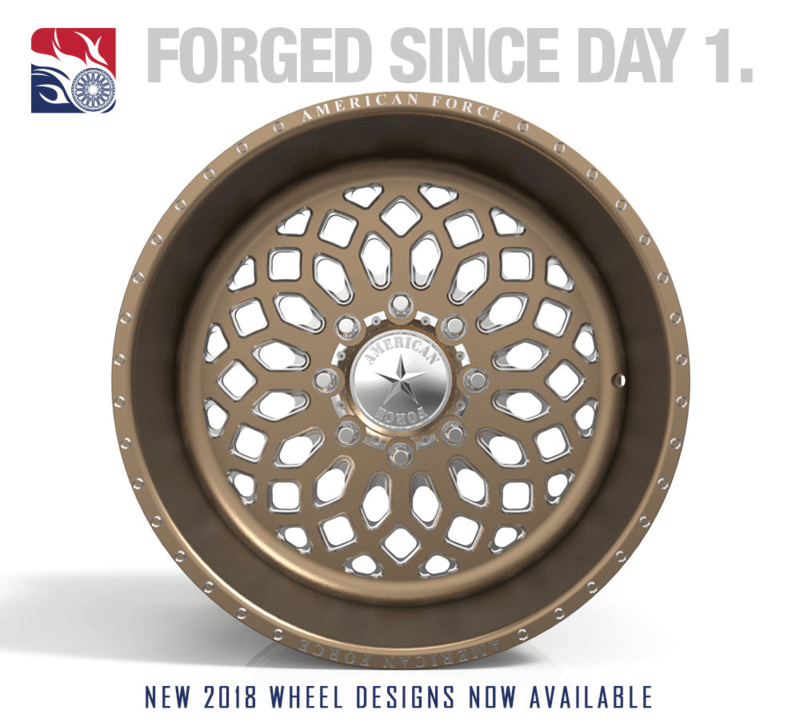 Designed to work with wheel tubs such as SloshTubz, they’ll also clear a 29-inch-tall tire and allow the hood to open to approximately 27 inches. Available in machine finish or polished, the hinges are made in the U.S.A. and sold in pairs. The modern Chevrolet small block V8 engine, most commonly known as the LS series, has been a staple within the GM lineup for more than two decades. 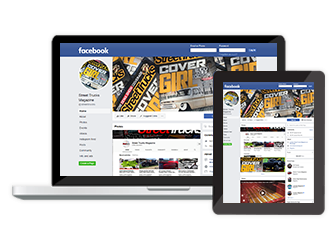 Thanks to the engine’s ease of modification and ability to be stuffed into just about any vehicle ever made, it has become one of the most popular engine platforms among performance enthusiasts. 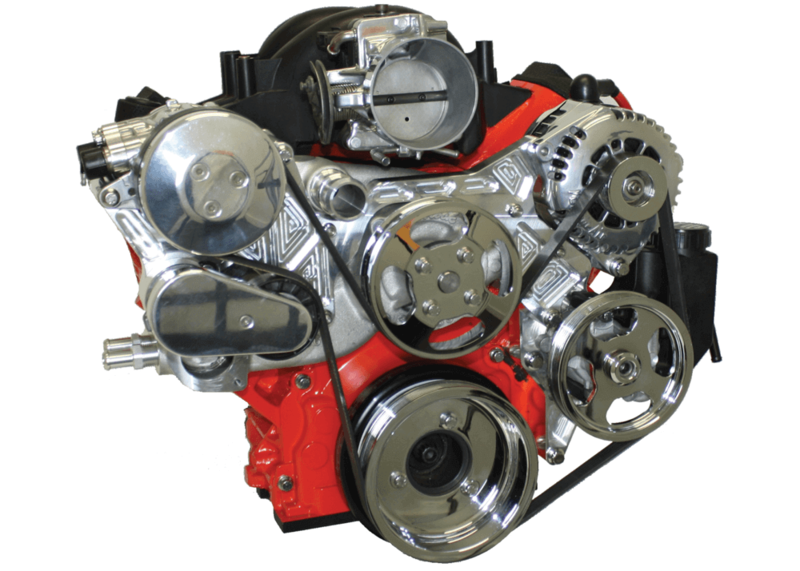 In response to the increasing demand for a LS accessory belt system with “extra clearance” to accommodate aftermarket intake manifolds and large-bore throttle bodies, Vintage Air has designed and introduced its new Low Profile Front Runner system. These new low-profile kits are machined from the same high strength 6061-T6 billet aluminum used on all Vintage Air Front Runner kits. 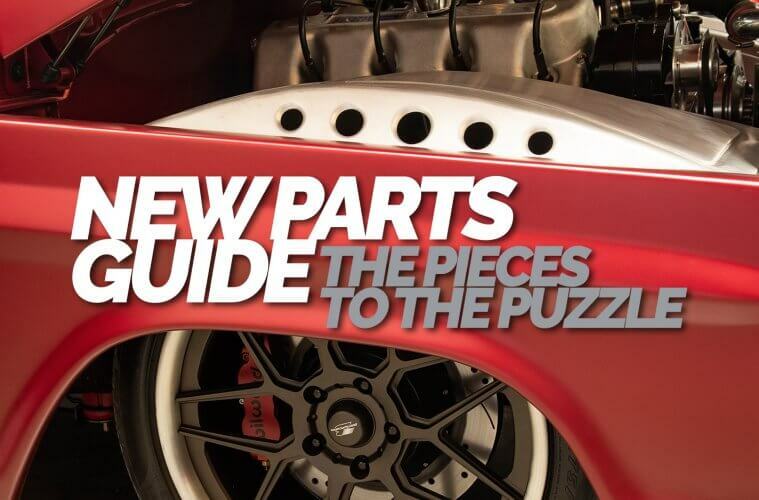 The kit features a redesigned, main truss bracket that provides the additional space required to run an aftermarket intake manifold and larger throttle body. The system also includes a new Edelbrock water pump with replaceable impeller cartridge and threaded heater hose outlets. 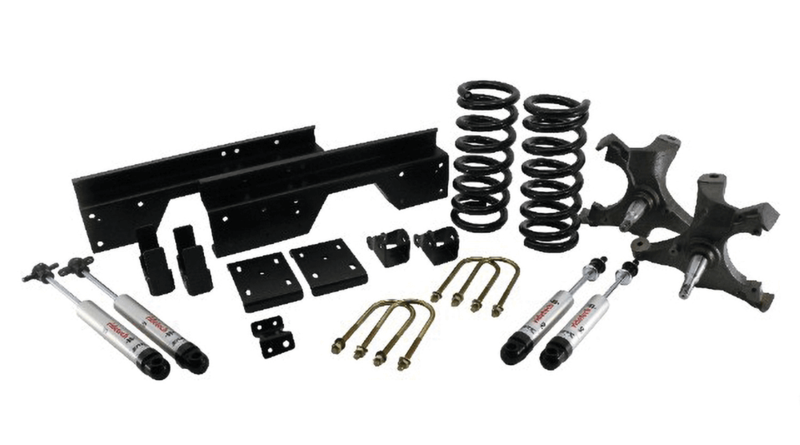 Maxtrac suspension introduces its latest in suspension technology: MSTsport series lowering struts for GM 1500 2/4wd (does not fit magneride) and 2007-2018 GM SUV 2/4wd (does not fit magneride or autoride). MST Sport Series Lowering Struts are designed with variable valve, twin tube technology that allows for a more controlled ride, while minimizing harsh bottom-outs on rough roads. Black powder-coated MST Lowering Struts are adjustable from stock ride height all the way up to 3 inches of drop while utilizing machined grooves and a snap ring in 1-inch height increments to make adjustments. MST lowering struts work with any cab configuration or motor displacement allowing for one-part number ordering and work with the factory coils. 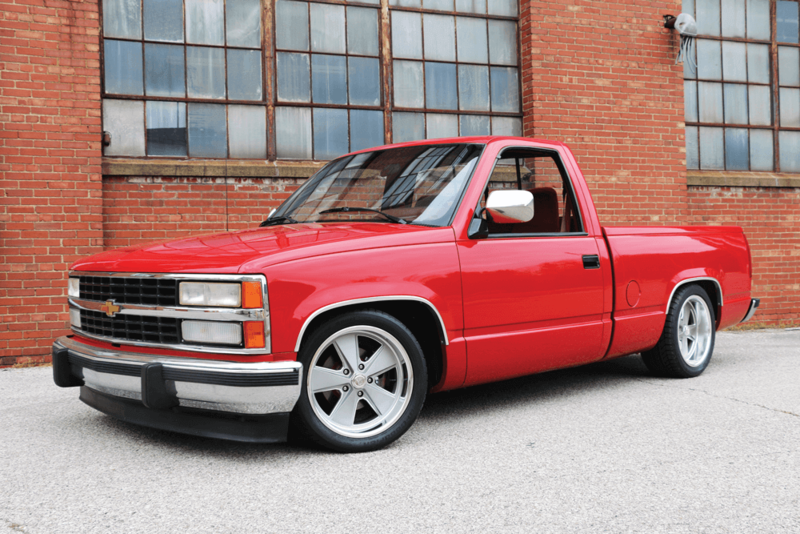 RideTech recently announced the addition of 1988-1998 C1500 pickups to its StreetGRIP line of affordable suspension systems. 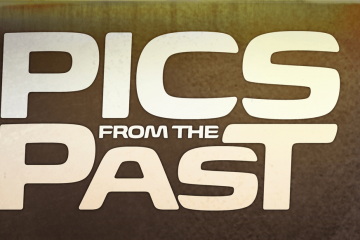 Twenty years ago, the 1988 Chevy C1500 launched the Sport Truck craze. 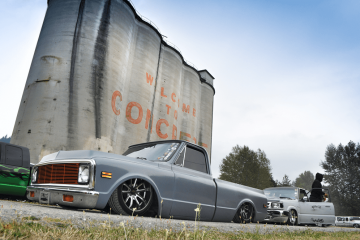 Tens of thousands of enthusiasts lowered and dressed up their trucks. We all had fun, but the lowering technology of the time often sacrificed ride quality and load capacity in the name of appearance. 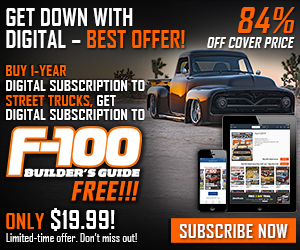 Since then, the custom truck community has learned how to add real performance suspension to older 63-87 C10s and even older 3100 series trucks. Times have changed and so have expectations. Now the technology comes full circle. 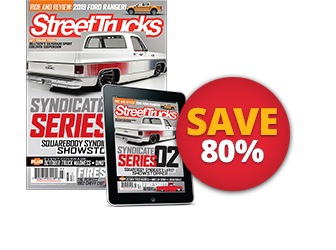 The new RideTech StreetGRIP suspension system features a heavy-duty C-Notch design that is significantly longer and stronger than other C-Notches to add axle clearance without sacrificing load capacity. Beyond the sturdy foundation, the system features custom-valved monotube shock absorbers. These premium quality shocks offer adjustable rebound and forged bodies. The shocks are so good that they carry a 1,000,001-mile warranty. 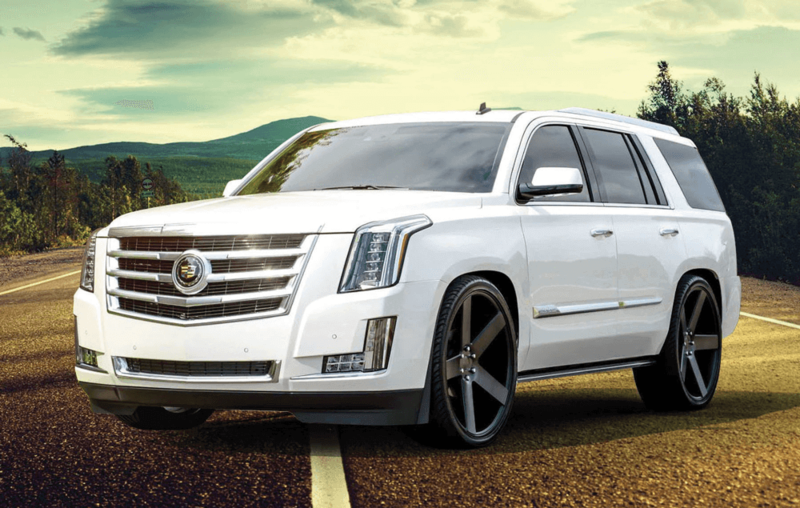 RideTech provides custom matched coil springs and forged dropped spindles to get the front of your truck low. Powder-coated, heavy duty shock relocating brackets maintain an effective angle. Grade 8 hardware finishes off the complete, bolt-on system. AMP Research has added a new model to its lineup of PowerStep electric deployable running boards. The PowerStep XL features an additional 3 inches of drop compared to standard PowerStep boards, which makes them ideal for lifted vehicles. This 3-inch drop comes courtesy of an integrated aluminum rail that not only looks great, but also offers additional durability when the steps are retracted. The PowerStep XL also features easy installation with hassle-free plug-and-play wiring. Simply attach the boards and plug the wiring harness into the vehicle’s OBDII port. Like other PowerStep models, the PowerStep XL features an integrated LED light system for excellent low-light visibility. The rails are constructed of sturdy 6063 marine-grade aluminum and wear an attractive, corrosion-resistant black textured coating. For extra strength, the board’s components are made from die-cast aluminum alloy with an anodized PTFE-coated (polytetrafluoroethylene) military-spec finish for excellent corrosion resistance. Precision stainless steel pivot pins ensure rock-solid stability with a 600-pound capacity; maintenance-free, self-lubricating bushings ensure years of all-weather performance.